Click Here To See FREAKSHOW Book! Check out this beautifully drawn Bernie Wrightson penciled and inked LARGE ART Freak Show horror Page (Heavy Metal, circa 1982). 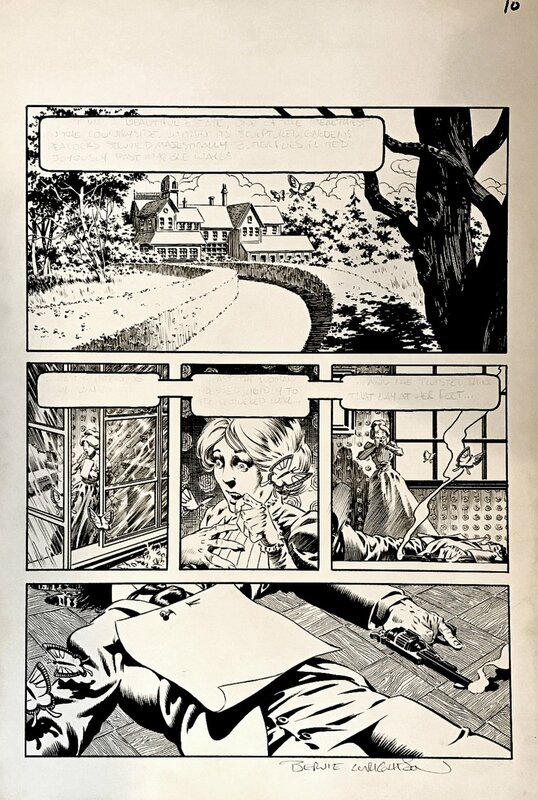 A woman on a plantation finds a man shot dead with his gun still smoking and a sign poked through his chest area, in this moody and atmospheric page by comic art master of the macabre, Bernie Wrightson. The word balloons are all blank, awaiting type, but the pencils can still be read in each panel! 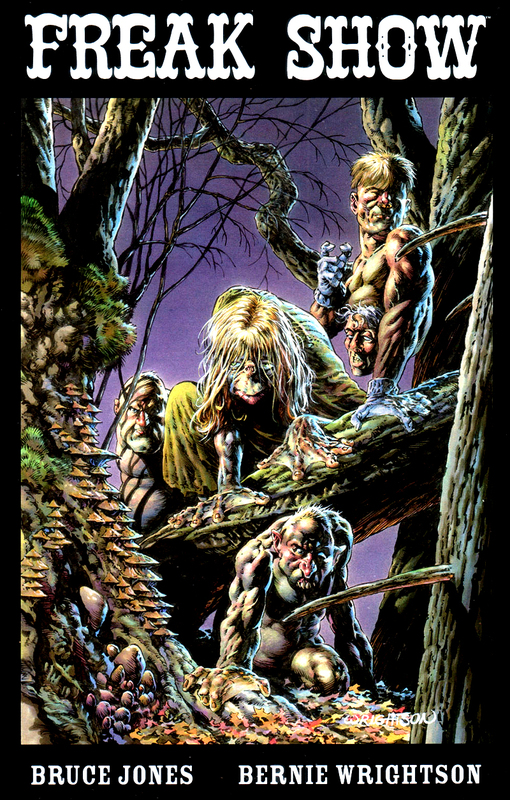 This crisp black and white art is razor sharp as only Bernie Wrightson could draw it. Ink and graphite, with a drawn image area of 12.75 by 17.25 inches on much larger thick Bainbridge drawing board. Signed by Wrightson at the bottom.